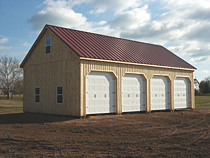 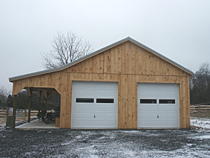 As with any other buildings, you can add different options to our basic pole barns to enhance their looks. 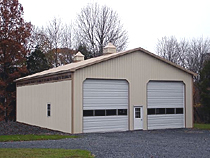 Convert any regular pole barn into a Custom Barn by adding loft, lean-to, or large overhang. 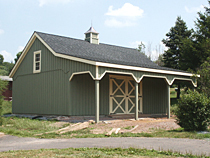 We use post frame construction technique to build horse barns, garages, indoor arenas and most of our custom barns.